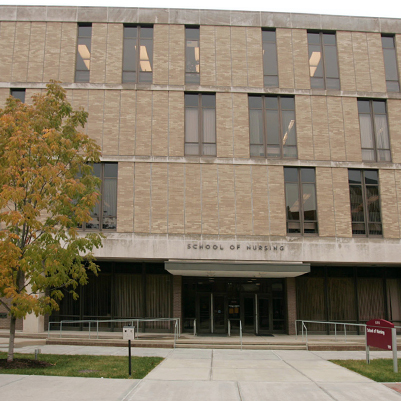 The fourth floor was renovated in the School of Nursing building on the IUPUI campus. With the exception of four stair towers and two elevators, 28,800 square feet of space was completely demolished. The project incorporated a centralized plan that included shared administrative support, conference rooms with audio/visual capability, and lounge space for the academic departments. This project provided private offices for full-time faculty and professional staff as well as shared offices for part-time faculty. Installation of a wet-pipe fire suppression system, light fixtures, power/telephone/data locations, and a mechanical/electrical upgrade was included in the work.